The classical world, or classical antiquity, is a traditional all-embracing definition describing the cultures of the Mediterranean area from the Ancient Greek civilisation (eighth century BC) to the end of the Roman Empire. It thus includes Classical Greece, Hellenism, and Rome. 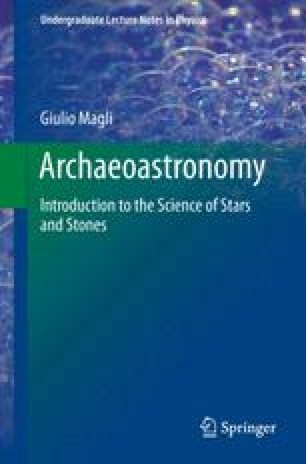 This chapter is devoted to this broad historical period, and will present some examples of applications of archaeoastronomical ideas and techniques, beginning with the Greek temples of Sicily.